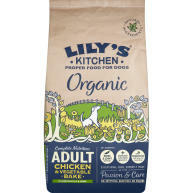 Lilys Kitchen Organic Chicken & Spelt is a delicious 100% complete recipe made with local organic ingredients for a really tasty, nutritious wet food. 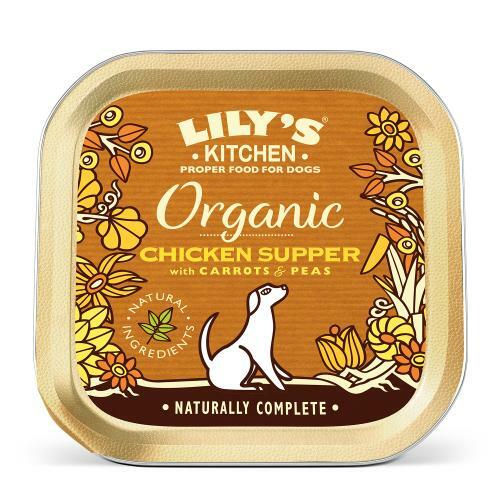 This recipe is certified organic and has no artificial ingredients or preservatives which makes it especially good for dogs with sensitivities. 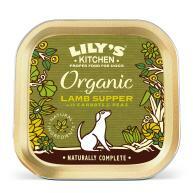 Produced from 100% controlled organic farming, (Meat content 50% including: organic chicken 30%, organic pork,10%, organic turkey 10%,), vegetables 4% (organic carrots and organic peas), organic spelt, organic alfalfa, organic cleavers, organic spirulina, kelp, Vitamin E (alpha tocopherol) 15mg, Copper (as Copper Sulphate) 1mg, Zinc (as Zinc Oxide) 20mg. No rendered meats or derivatives, nothing Genetically Modified, no artificial preservatives, colours, taste enhancers or sweeteners. No wheat, corn or soya. Suitable for Puppies. Certified Organic (Organic Farmers & Growers). 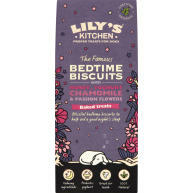 I was introduced to Lily's food last February. I have found a considerable difference in both my dogs general wellbeing. Their favourite is chicken but love a change occasionally. 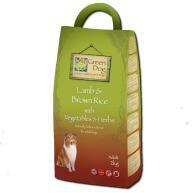 All natural home cooked, no additives or harmful ingredients. Albeit more expensive in Waitrose compared with other suppliers, only by a few pence, I wouldn't feed my dogs anything else. Wet, dry, treats! All catered for.